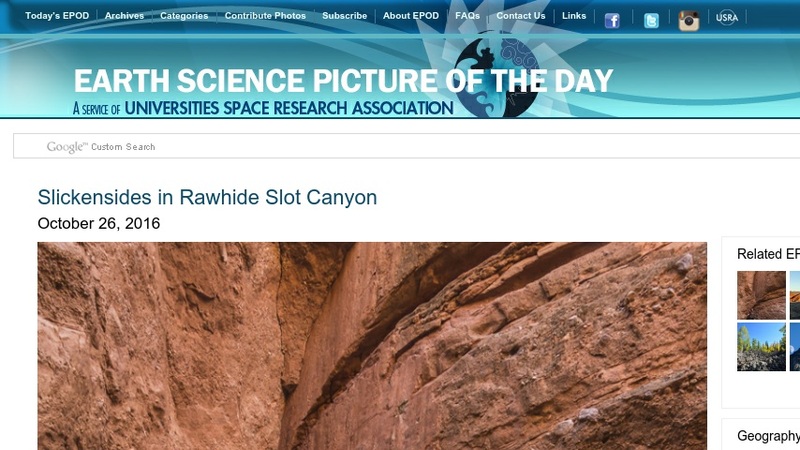 The Earth Science Picture of the Day (EPOD) is a collection of photos, imagery, graphics, and artwork that highlights the diverse processes and phenomena which shape the Earth and its inhabitants. Each day, a new image is featured with a brief caption, details about the image's production, information on the provider, and links to related websites. The collection is searchable by keyword, and previous images dating back to 2000 are stored in an archive.